The Sound Memorial for the Veterans of the Vietnam War is a six-hour long composition, a reading of the names of the service members who died during the Vietnam War. 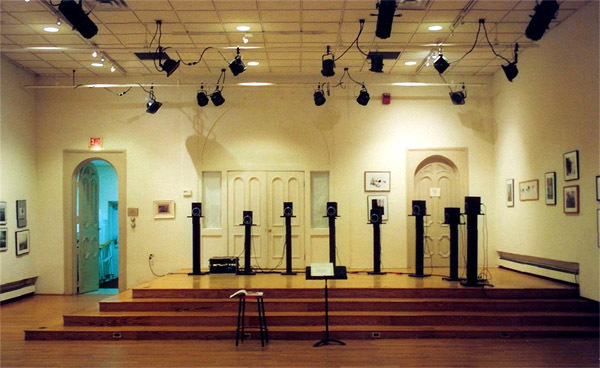 The Sound Memorial is a fixed media work performed as an eight-speaker installation and is composed from 210+ voices and over 200 hours of recording. The memorial resurrects the service member’s names by propagating them within a defined space, allowing the name to reverberate within a room and take on a whole new life. The first audio excerpt is “Height of the War;” the movement attempts to capture the magnitude of American service members killed in action over the course of several months in 1968. Following this movement is the rest of the piece, playing sequentially from the beginning.